Everything seems to be on the up for the Xbox 360, especially sales of a certain motion controller. Microsoft revealed a trio of sales triumphs for the Xbox 360 at its press conference at the Consumer Electronics Show last night. Microsoft CEO Steve Ballmer announced that more people were playing on the Xbox 360 than ever before, both online and off. According to Ballmer, the install base of the Xbox 360 had now passed the 50 million mark. He added that that the 360 had been the top-selling console in the US for the last six months. Xbox Live had also reached a significant milestone, with 30 million registered accounts on the service and a new user signing up every two seconds. 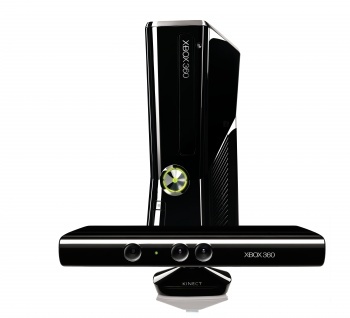 Probably the biggest cause for celebration in the Microsoft camp, however, was the success of Kinect. Spending nearly half a billion dollars on marketing seems to have paid off, as the motion controller sold eight million units in just sixty days. This represents an attach rate of just over 15%, which aligns nicely with predictions made by market analyst Sandeep Aggarwal in July, who also said that Kinect would boost Microsoft revenue by a billion dollars in the first year.